» Are You Fighting in Front of the Kids? Kids may not seem to hear you when you tell them to eat their vegetables, but when you and your spouse are fighting in front of the kids, having one of your screaming, knock-down, dragged-out fights…your children are paying close attention, and it not only impacts their behavior, it affects their mental health as well. A new study from Cardiff University confirms earlier research by John Gottman and E. Mark Cummings of Notre Dame. There have been hundreds of peer-reviewed papers on this issue spanning decades of research. The developmental science is crystal clear. 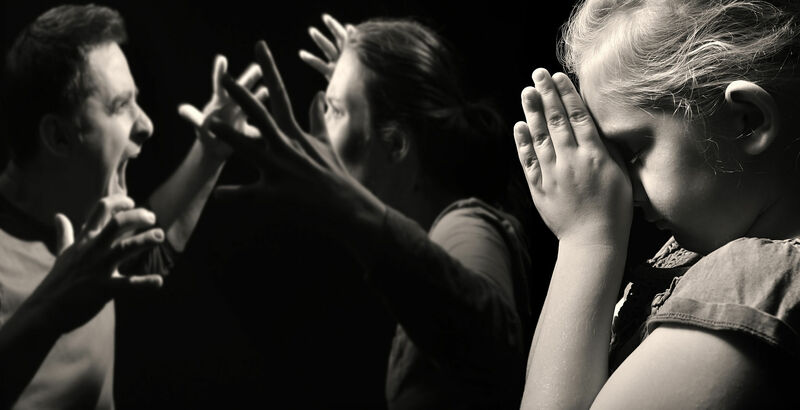 Fighting in front of your kids can cause serious harm to their physical, emotional and developmental well being. Dr. Gordon Harold, a researcher at Cardiff University in Cardiff, Wales says parents can have differences of opinion in front of their kids. But how you do it on a regular basis is giving not only giving your children a life-long lesson in how to manage conflict with intimate partners, it is impacting their health as well. Dr. Harold conducted a three-year study of more than 300 families. In the study, researchers showed kids videos of adults engaged in different styles of arguing. The researchers then asked the kids about the kind of fights they saw their parents have at home. Your argument may have nothing to do with your kids, but if you fight in destructive unregulated ways, it threatens their emotional stability. 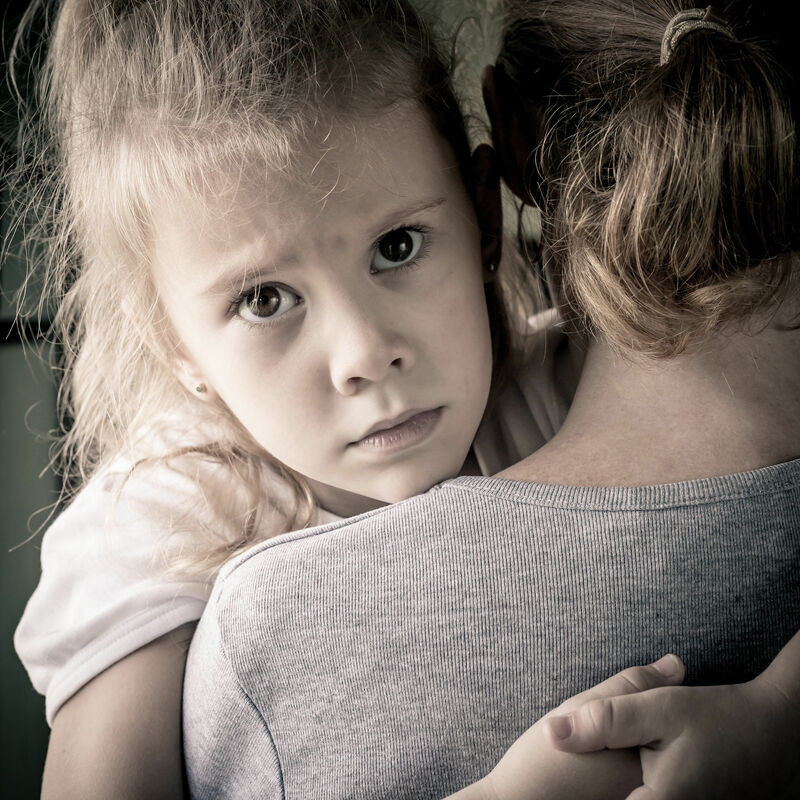 Multiple studies over the past several decades have told us that when children feel threatened emotionally, they will show showing predictable increases in depression, anxiety, hostility, and aggression. John Gottman’s research shows that regular exposure to parental arguments produced serious side-effects in children that may be hard to detect at first. Perhaps Gottman’s most shocking finding is that even infants are keenly sensitive to the relative happiness of their parent’s marriage. Gottman conducted a study of 50 couples who had 3-month-old infants. The research shows that when parents have a habit of fighting in front of the kids, children exposed to parental fighting showed a sharply lower capacity for concentration, joy and the ability to calm down as opposed to babies whose parents had thriving happy marriages. Gottman discovered that these babies had an accelerated heart rate. In yet another study, Gottman’s research team took urine samples every hour from 63 pre-schoolers over a 24-hour period. The 3- and 4-year-olds in homes in what Gottman as demonstrating significant levels of “marital hostility” had significantly higher levels of stress hormones than those children whose parents’ marriages were identified as being happy and stable. The health consequences of this degree of ongoing emotional stress may not be known until years later. Research has shown that kids as young as 3 years old react to a conflict between parents. When children are upset by fighting or tension, they may act out in anger themselves. Sometimes they numb out into a dissociative trance or become very clingy. When kids from these unhappy homes reach adolescence, the behavioral implications are abundantly clear. Gottman followed these kids through age 15. The research findings showed that children of distressed marriages had a significantly greater rate of depression, peer problems, poor grades, and behavior issues such as truancy. And they were also more aggressive. On the other hand, research also tells us that kids whose parents are happily married couples are happier themselves as well. They have more friends, have better grades, are less likely to be troubled or depressed, and their overall behavior is markedly better. Research suggests that these kids are more resilient because they are more emotionally secure. When children grow up in a happy home, they are more resilient and can bounce back from disappointments. They are more happy and confident in their outlook. Research tells us that the intensity of the fighting in front of the kids, and the lack of repair is more impactful than just the number of fights the parents have. The fights that have the greatest negative impact on children are fights characterized by high levels of verbally or physical aggression. Arguments that involve the children are the worst. What these fights all have in common is that they lead nowhere except into either icy silence or more fighting. Experts say even though fighting in front of the kids can be quite damaging; children can also be positively impacted by watching their parents respectfully and lovingly disagree. They learn that conflict with a significant other can be negotiated with compassion, understanding, and humor. The takeaway from this research is that when a kid is having problems in school, it’s far more important that parents are offered help to improve their marital bond. The research suggests that they need that a lot more than just getting help with their parenting skills. Is Your Fighting in Front of the Kids Way Out of Control?